What can fossilized teeth tell us about our ancient ancestors' life expectancy? Did farming play a problematic role in the history of human evolution? And what do we have in common with Neanderthals? 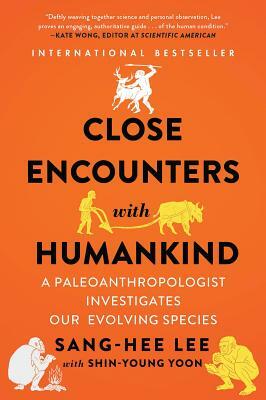 In this captivating bestseller, Close Encounters with Humankind, paleoanthropologist Sang-Hee Lee explores our greatest evolutionary questions from new and unexpected angles. Through a series of entertaining, bite-sized chapters that combine anthropological insight with cutting-edge science, we gain fresh perspectives into our first hominin ancestors and ways to challenge perceptions about the traditional progression of evolution. With Lee as our guide, we discover that we indeed have always been a species of continuous change.